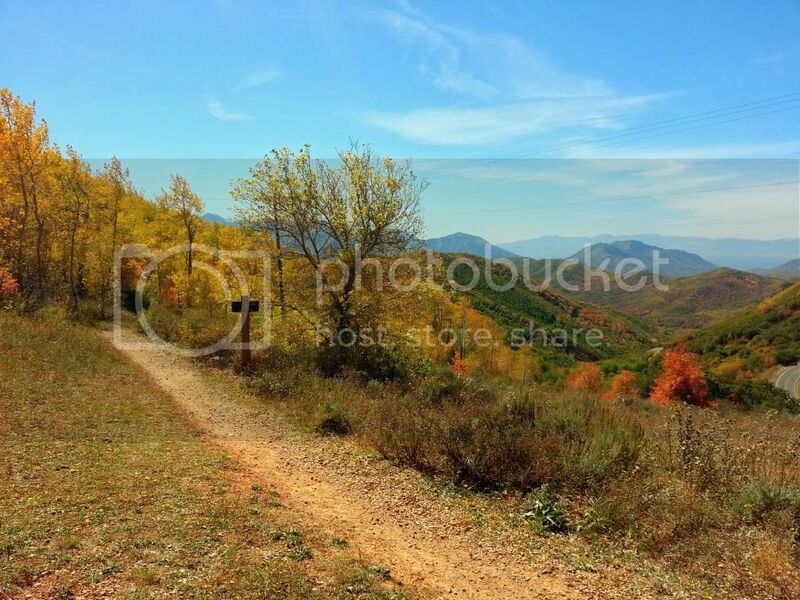 Because of the cooler weather and changing leaves, Fall is my favorite time for hiking in Salt Lake City. This week I drove up East Canyon to hike the historical Mormon Pioneer Trail. 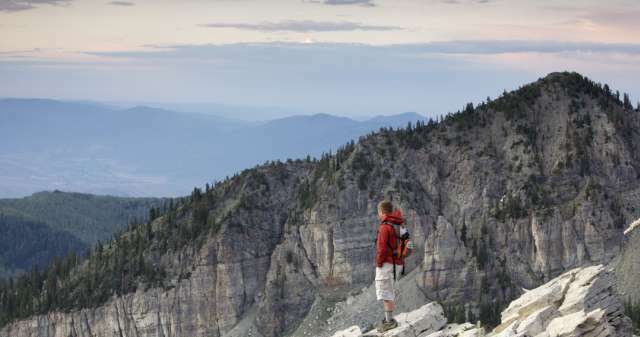 It&apos;s an easy hike for families of all ages. When the pioneers emigrated to Salt Lake City, they traveled through Echo Canyon, into East Canyon, then down Emigration Canyon. When Brigham Young reached the top of Big Mountain in East Canyon, where the trailhead begins, it is here on July 23, 1947 that he looked across the valley and declared "This is the right place...carry on!&apos;"
"On 19 July 1847, scouts Orson Pratt and John Brown climbed the mountain and became the first Latter-Day Saints to see the Salt Lake Valley. Due to illness, the pioneer camp had divided into three smaller companies. On 23 July, the last party, led by Brigham Young, reached the Big Mountain. By this time most of the first companies were already in the valley and planting crops. Mormons were not the first immigrant group to use this route into the Salt Lake Valley. The ill-fated Donner Party blazed the original trail one year earlier. They spent thirteen days cutting the trail from present-day Henefer into the valley. 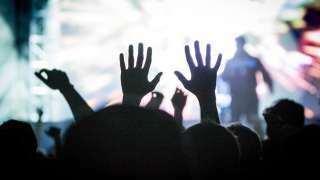 That delay proved disastrous later on when the party was caught in a sever winter storm in the Sierra Nevada Mountains. The Mormons traveled the same distance in only six days. Until 1861, this trail was also the route of California gold seekers, Overland Stage, Pony Express, original telegraph line, and other Mormon immigrant companies, after which Parley&apos;s Canyon was used. This monument, erected and dedicated 25 August 1984, by South Davis Chapter, Sons of Utah Pioneers, replaces the original plaque, erected 23 July 1933, by Utah Pioneer Trails and Landmarks Association and the Vanguard Association of the Salt Lake Council, Boy Scouts of America." From the Salt Lake City area, Drive Eastbound up I-80 in Parley&apos;s Canyon and take the East Canyon exit. OR drive up Emigration Canyon past This Is The Place Heritage Parkand Utah&apos;s Hogle Zoo, and follow the signs to East Canyon. I like taking Emigration Canyon and stopping at the many pioneer monuments along the way. If you are going to the top, drive all the way to the very top and park at the Big Mountain monument. You can&apos;t miss it. It&apos;s a large area with bathrooms and a parking area. 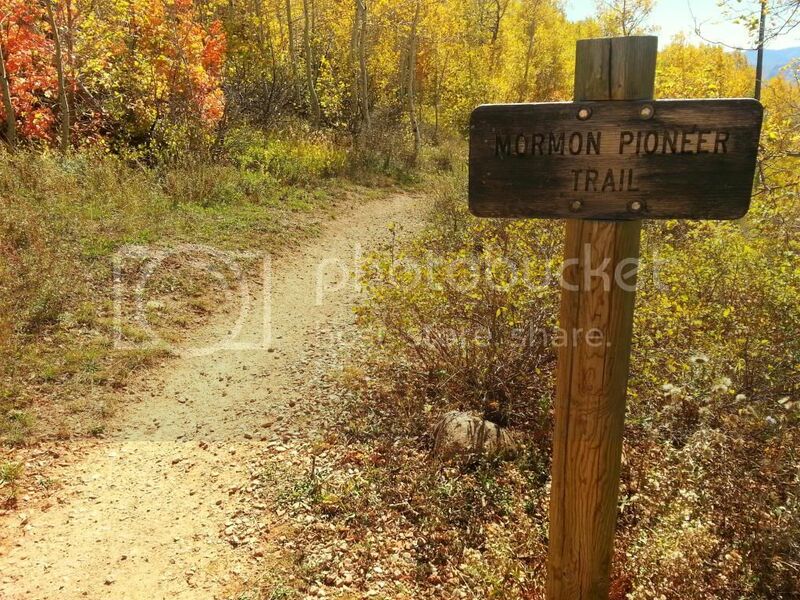 If you are starting at the halfway mark, watch for a Mormon Pioneer Trail sign on your left side when you come around a corner (from the Salt Lake side, not the Henefer side). - Wear good walking shoes! Even though this is an easy trail, you are going to want to wear good hiking shoes. There are lots of rocks along the path, and a twisted ankle is not uncommon if you are wearing flip-flops or improper shoes. - Bring a camera! There are so many beautiful spots to stop and take pictures at. - Bring water and snacks. This is one of those trails where you are going to want to take your time and enjoy the scenery instead of hurrying back to get lunch. Maybe pack a lunch and eat along the trail. - Watch out for bikers. 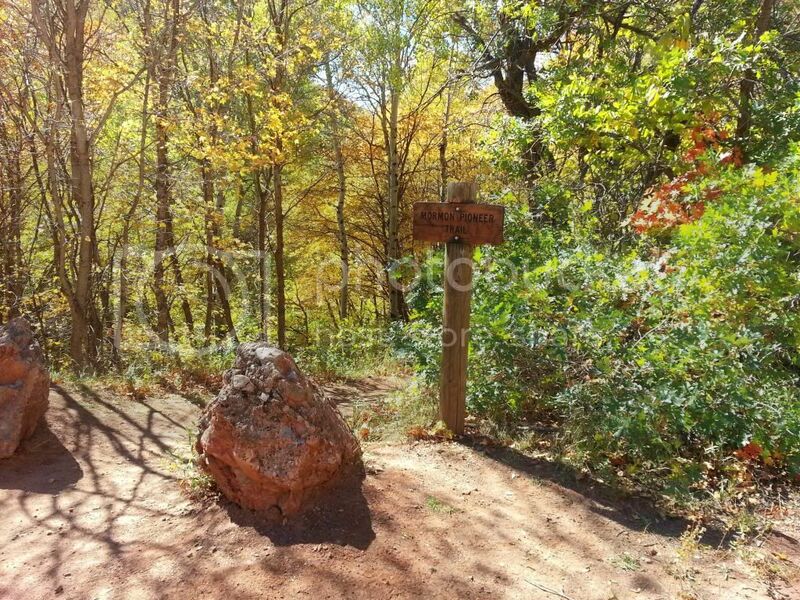 This is a popular trail for bikers, so as you are hiking, listen for bikes coming up behind you and move to the side to let them pass. - Check the weather forecast before leaving. 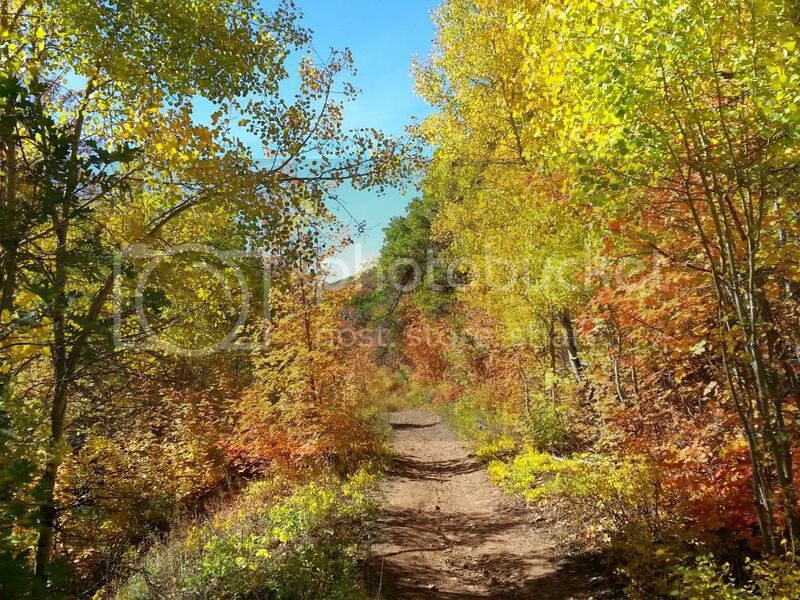 Fall in Utah can change from one hour to the next, and you don&apos;t want to get caught on this trail in a snow or rain storm. Wear appropriate jackets and clothing. - Leave your pets at home. Because this is a watershed area, it&apos;s best to leave your dogs and other animals at home. - Turn the hike into a history lesson. 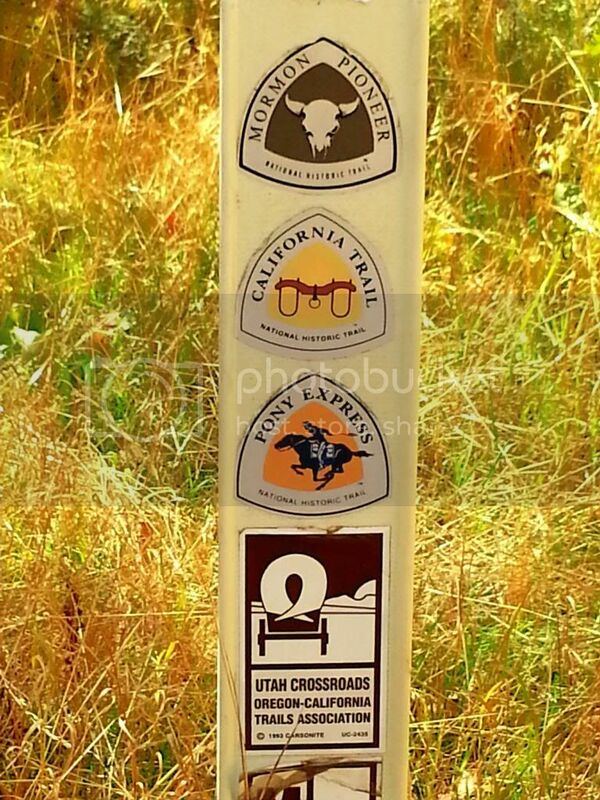 This is a great hike to teach your kids about the pioneers, the California gold rush, the Donner Party, the Pony Express and Overland Stage Company, and many other historical events that took place on this trail. Research topics at your local library, watch movies related to the subject, and learn all you can about this trail before hiking it. Take the opportunity to teach your kids about history while having fun. Along the trail, take moments to stop and discuss the various groups that traveled this route.